3,5 km from Beirut International Airport. It is central to the city's business district, the National Museum, the Sport City, and a host of sites and activities. 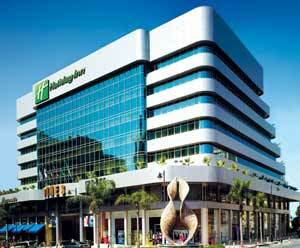 Holiday Inn lies within "Dunes" commercial center combining the convenience of indoor shopping with a variety of entertainment venues. 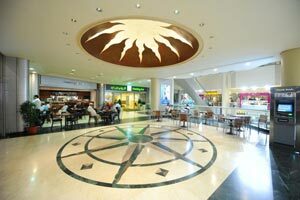 The center also hosts a bank, 4 movie theatres, a parking and offers various services. The hotel's location in a commercial centre has been deliberately chosen to achieve complementarity and diversity in the facilities provided to clients. Holiday Inn Beirut- Dune's offers, in addition to the most comfortable and largest 118 guest rooms, 32 Executive rooms and 9 newly refurbished suites designed to offer comfortable elegance with just the touch of home. Rooms for non-smokers and persons with disabilities are also available.